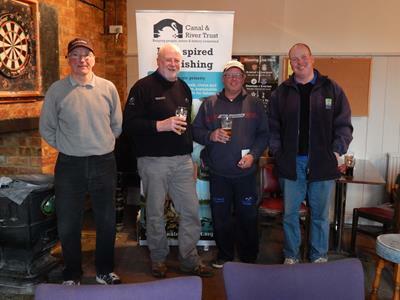 Forty competitors faced poor fishing conditions for the first Angling Trust and Canal & River Trust Stillwater Championships Qualifier, held at Boddington Reservoir on Sunday 19th April 2015. A strong and cold easterly wind made it feel like a winter’s day and this, combined with a sailing event, made conditions difficult to say the least. Unsurprisingly the carp were not willing to feed and disappointingly half the field failed to trouble the scalesman. Conditions didn’t bother Andrew Ashington from Birmingham though as seven carp caught late on helped him to 1st place with 28.000kg. Bread and pellets fished with a method feeder on peg 88 was Andrew’s winning method. 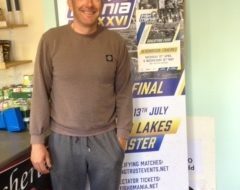 Three pegs away on peg 91, Stephen Openshaw (Lingmere) caught 8 carp on method & pellet for a close 2nd place with 27.180kg. James Hipkiss (Ridgemere) also left it late on peg 82 to finish 3rd with 7 carp taken on the method & pellet and gave him 25.020kg. 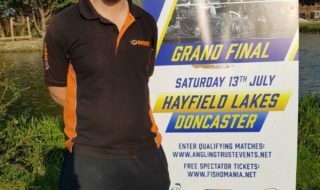 The first four qualifiers of the year were Brian Ashley (Telford) 24.580kg from peg 13, Geoff Ringer (Ringer Baits) 9.760kg peg 73, Andrew Ashington (Birmingham) 28.000kg peg 88 and Stephen Openshaw (Lingmere) 27.180kg peg 91. 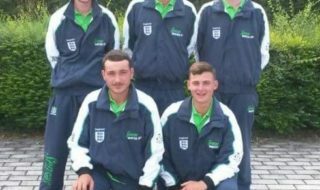 The second qualifier takes place at Blythe Waters on Sunday 10th May. Photo – Left to right; Brian Ashley, Geoff Ringer, Andrew Ashington, Stephen Openshaw.